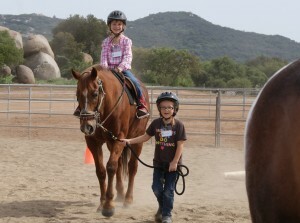 For over eight years we have offered specially designed horse programs for ALL levels of Girl Scouts. Program participants experience horse programs ranging from two to five hours in duration. Utilizing the patience of our beautiful and gentle horses, our programs couple direct interactive instruction structured on a solid foundation of leadership and safety. We saturate participants with horsey information while they work directly with our well-trained horses. Concerned about too much information? No worries! All information covered during our programs is sent home in an information filled portfolio. Program participants will also receive bottled water and snacks, fun patch(es), badge (Junior troops only), certificate, and a discount good toward future participation in any Sebesta’s Rocking K Ranch program. We always have a current proof of liability insurance on file with Girl Scouts San Diego/Imperial Council. 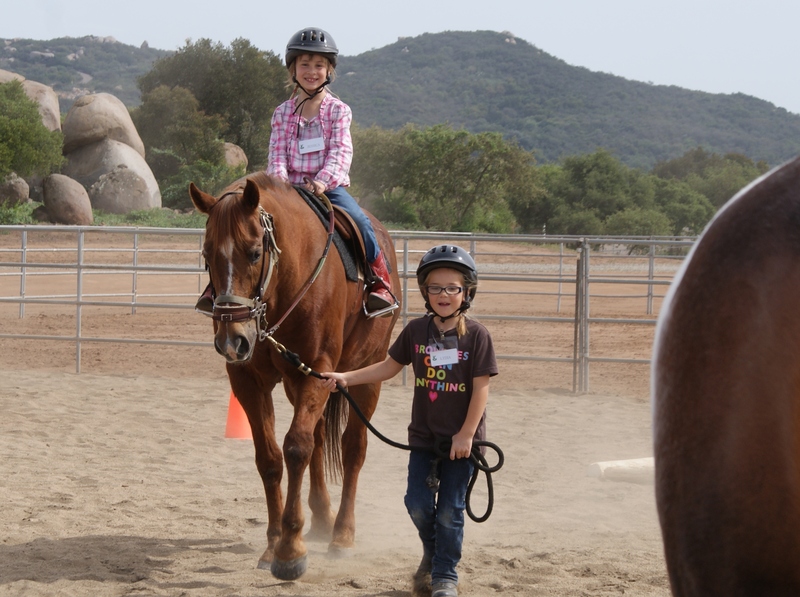 TUITION includes: use of our equestrian helmets, bottled water, snacks, Certificate of Participation, fun patch or badge, and a 5% discount good toward participation in any of our instructional programs.